Three rugby players, including a New Zealand international, showed their prowess off the field when they chased and apprehended an alleged shoplifter. 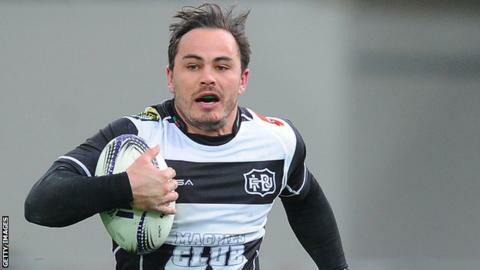 Former New Zealand winger Zac Guildford and Hawke's Bay team-mates Ryan Tongia and Chris Eaton were at a restaurant in Napier on Tuesday, when they saw a man run out of a nearby clothing store. Former Clermont Auvergne player Guildford told New Zealand television station TV3 that Australian former rugby league player Tongia chased the alleged thief 200m down the road. "Tongia set off in his perfect running style like he was off catching a ball, it was pretty impressive to watch," said the 26-year-old, who also gave chase. "He grabbed him by the hood and said, 'Hey mate, listen, you better stop here.'"